I was looking though some old pictures the other day, and I found these snaps that I took earlier this year. I had completely forgotten I’d taken them, and I wasn’t sure I was going to share them with you, as I don’t like the lighting and I think my photography has improved a little since then. But on the other hand, I though they were too pretty to hide away forever, so here they are. An abundance of roses left over from a shoot that took place at my house meant that I had all these pretty blooms to play with. 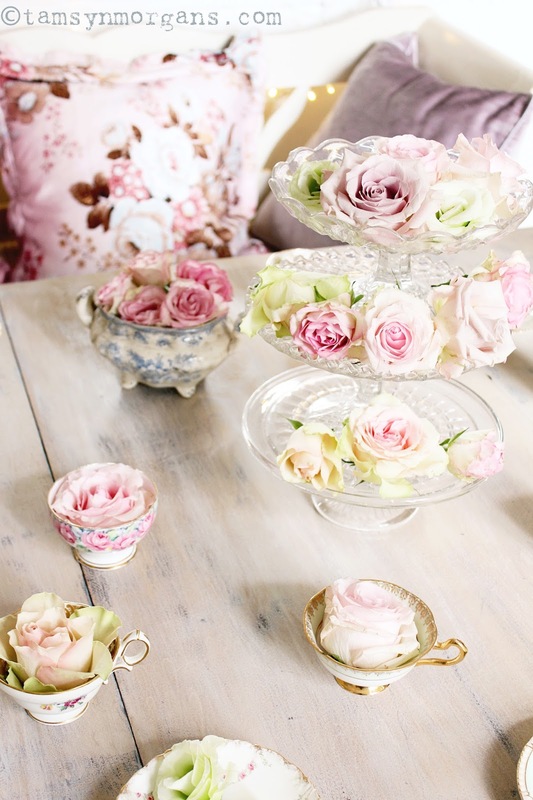 So I got out my vintage china and spent an hour faffing. It was utter bliss! I head off tomorrow morning very early to take the coach down to Glastonbury Festival. If I get time later today I will try to schedule a post for you whilst I’m away, but I’m still trying to cram clothing and supplies into a hiking rucksack, so please forgive me if I don’t manage to get it done in time! On one hand it’s quite liberating to go away and camp in a field with only a rucksack of belongings, on the other it’s quite tricky for someone like me who loves their home comforts. Hopefully I will be able to take some snaps at the festival and will share them with you next week! 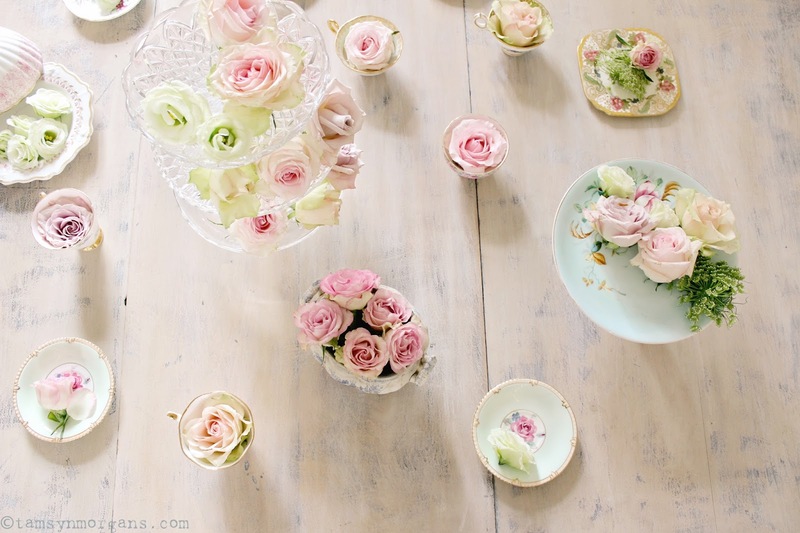 Beautiful roses in tea cups! How lovely! 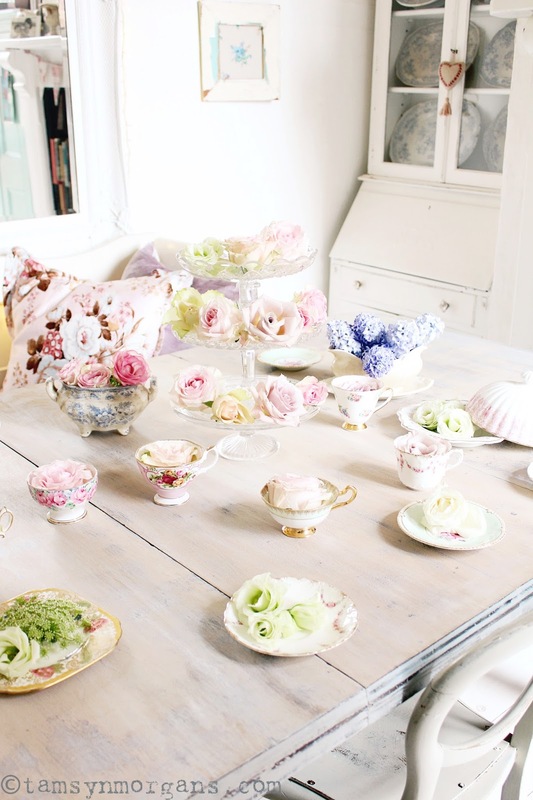 I love collecting vintage tea cups!